I recently spent a week driving back roads from Tucson, Arizona to Denver, Colorado. It was about as different from Seattle as it could be. Brilliant sun and dark shadows. Flat straight highways and jagged mountains on the horizon. Also, admittedly, not very urban. But very sketchable! We started at Saguaro National Park near Tucson. 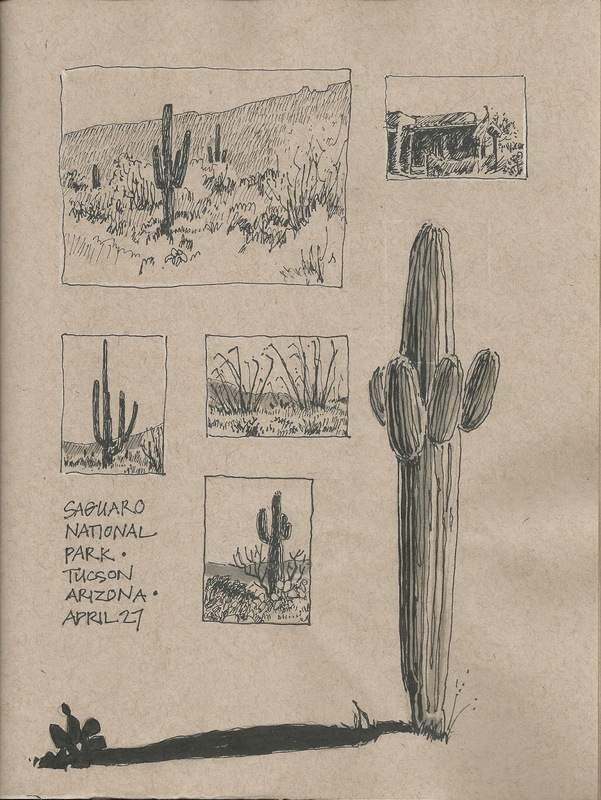 I can always draw more Saguaro. There were a couple long days of driving and sketching the view from the passenger seat. 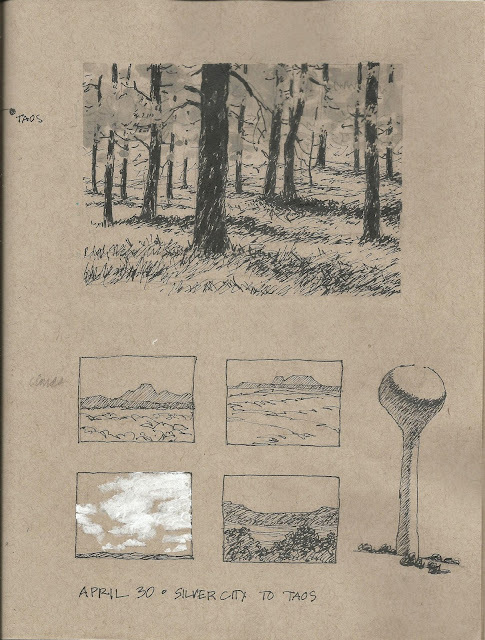 At a rest stop I could not resist drawing the sun and the great shadows through the trees. 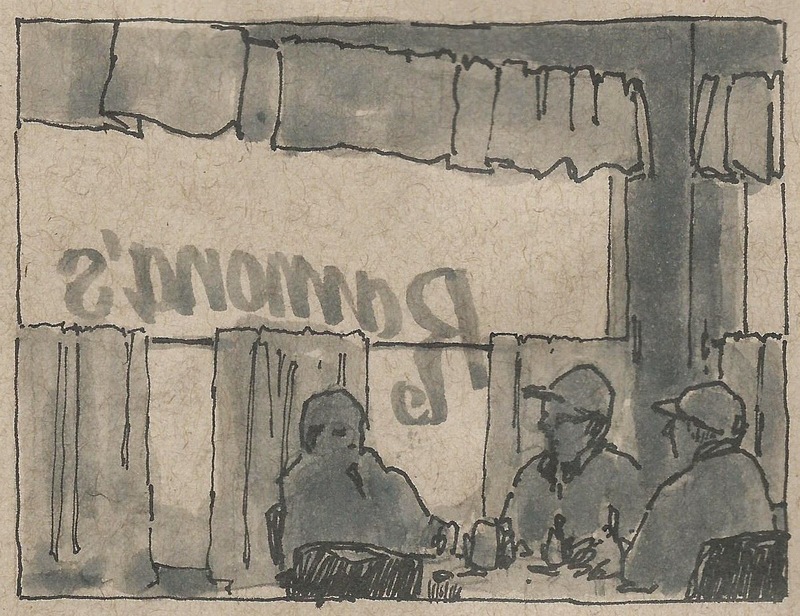 A good diner in Lordsville, New Mexico. 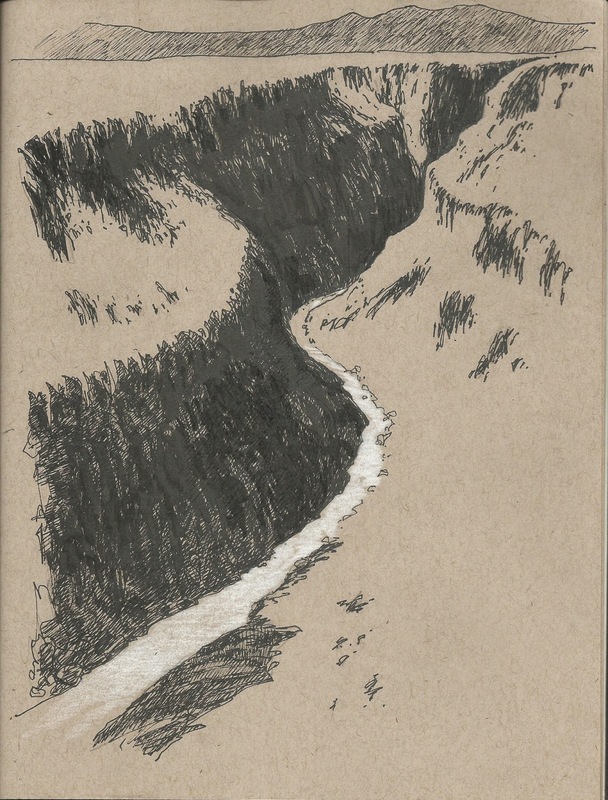 And I finished the sketchbook at the Rio Grande gorge outside Taos, New Mexico. Your work is so striking! Very nice.